This book, by Que, is one worn out book, as you can most certainly tell. I've USED this thing. 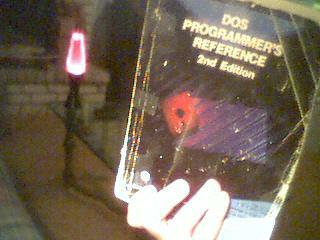 Back in my dos programming days it was NECESSARY. This was before the internet made all information easily available. All the bios calls, writing device drivers, and lots of other good stuff. This was THE book to have. Too bad it doesn't get much use these days, but its full of fond memories.